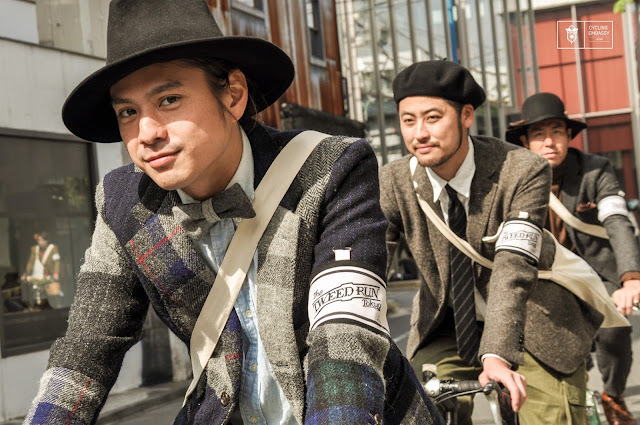 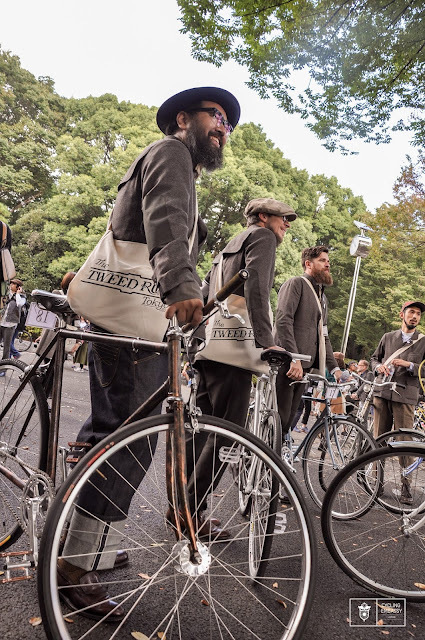 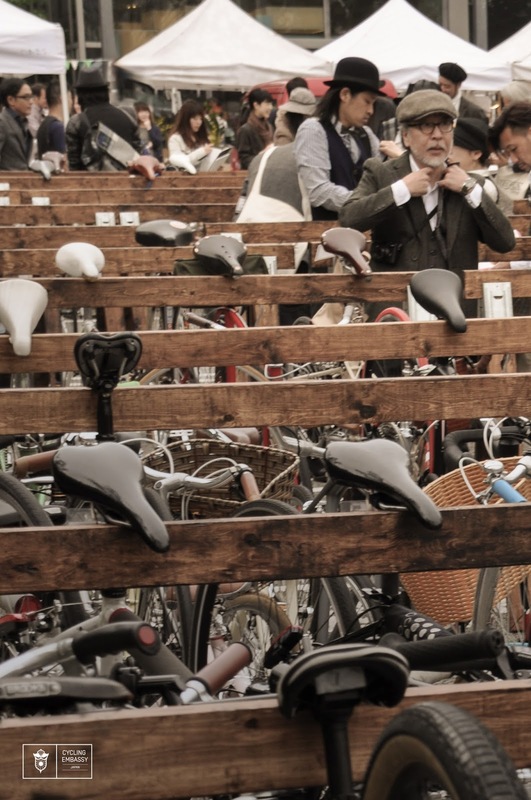 It’s Autumn in Tokyo which means it’s time for a the annual Tweed Run. Here I followed members of the fashion industry who dressed up in good ‘ol English tweed and cycle around on vintage bicycles like it’s the 1900’s. 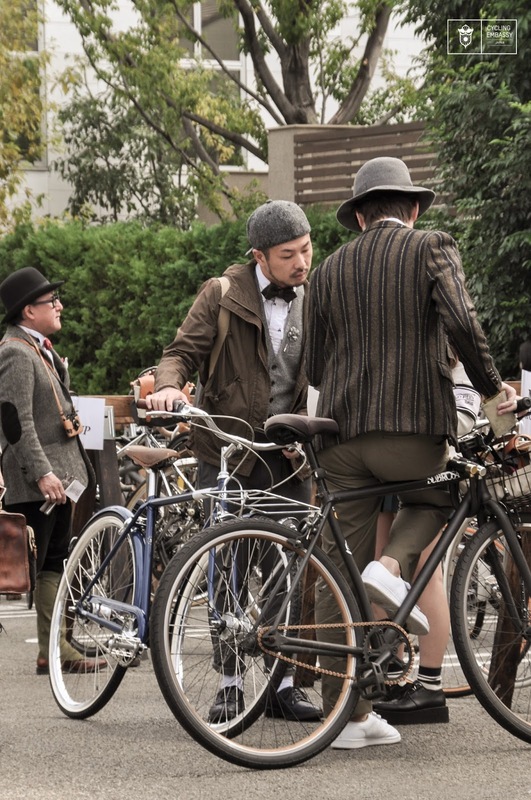 This year the event crammed itself into the back of the Daikanyama T-Site which provided some stylish backdrops for these sophisticated cyclists to show off their old-fashion attire but also seemed to cause havoc on the usuals. With that said, everyone looked absolutely fabulous, which comes as no surprise from this pre-selected, pre-evaluated, pre-paid gang of fashion aficionados. The photogenic participants were divided into groups and sent on their merry way but not without a few hiccups with the many weekend drivers trying to visit T-Site’s Farmers Market. 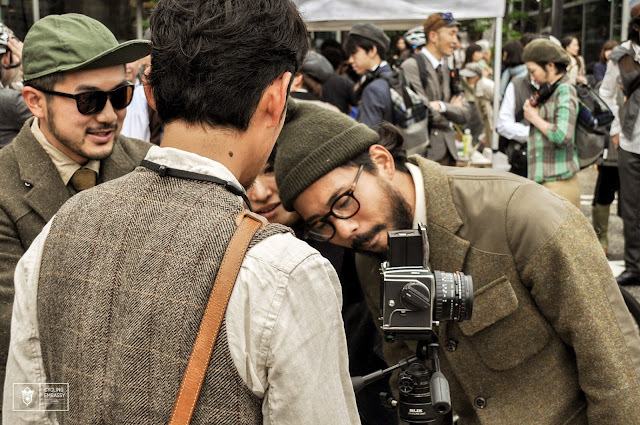 Attendants relentlessly announced the arrival of each vehicle as it arrived in the parking lot and cut through the shutter-happy crowd. 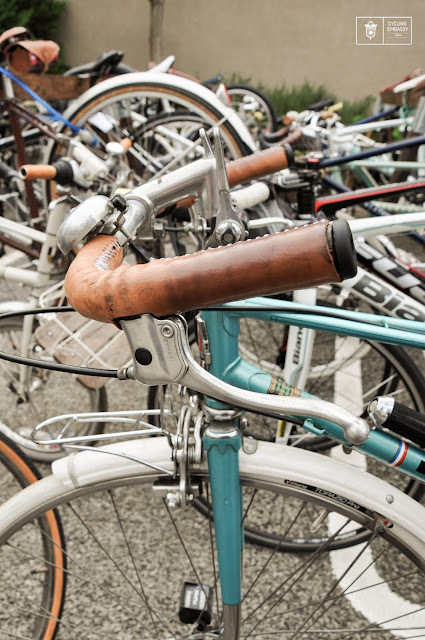 This was just a warm-up for the rest of the ride, as the streets in this wealthy neighbourhood are not designed with cyclists in mind. 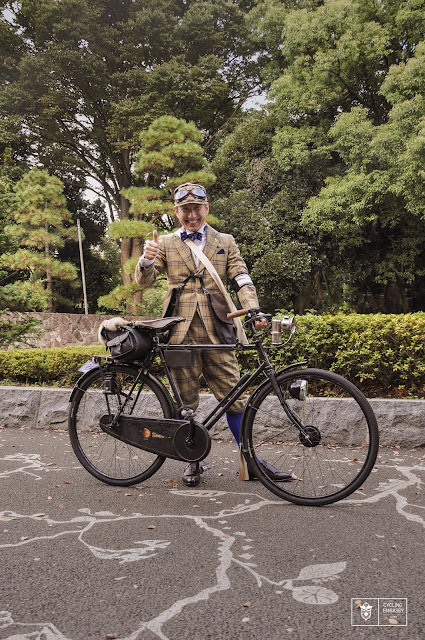 Ironic that it was the English cycling clubs of the turn of the century, whose attire this ride emulates, that fought for modern paved streets and now days cyclists can barely use the roads. 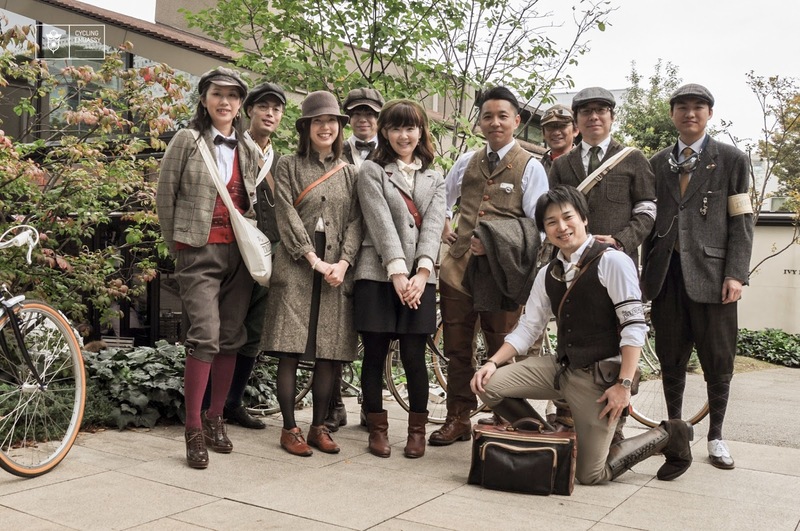 T-serve, a courier service in Tokyo, provided the guides. 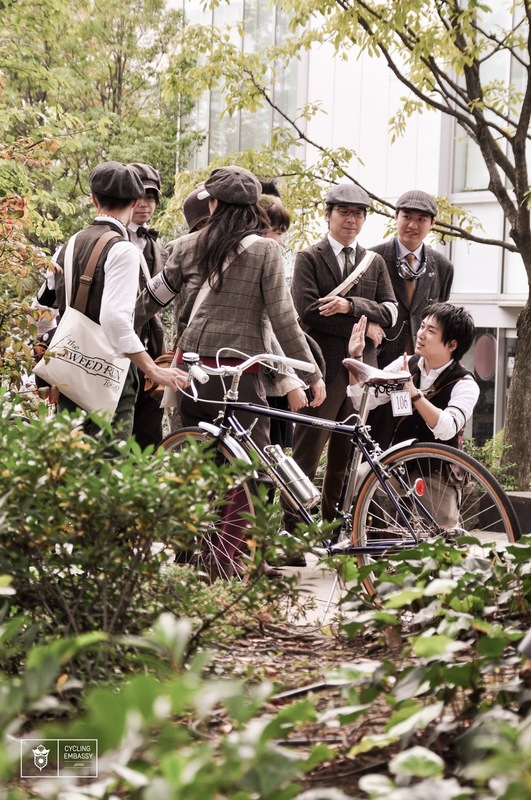 Each with their standard messenger radio and decked out in tweed. They did their best to corral the group and maintain the leisurely pace that would define this “run”. 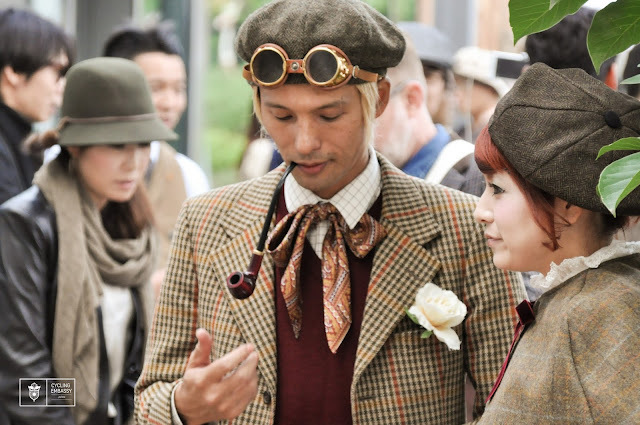 Yet not surprising, the cool autumn air of the morning gave way to a warm day and the sun beat down on the backs of the wool laden riders. Already at the first break many of the riders were parched and could use a short break in the shade of Yoyogi Park. 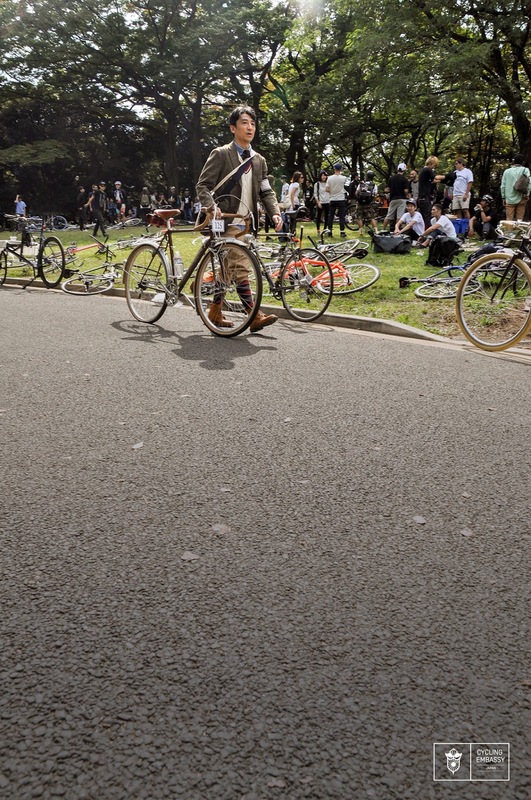 It must have been a delight for onlookers to see a blast from the past making its way through the park and around town. 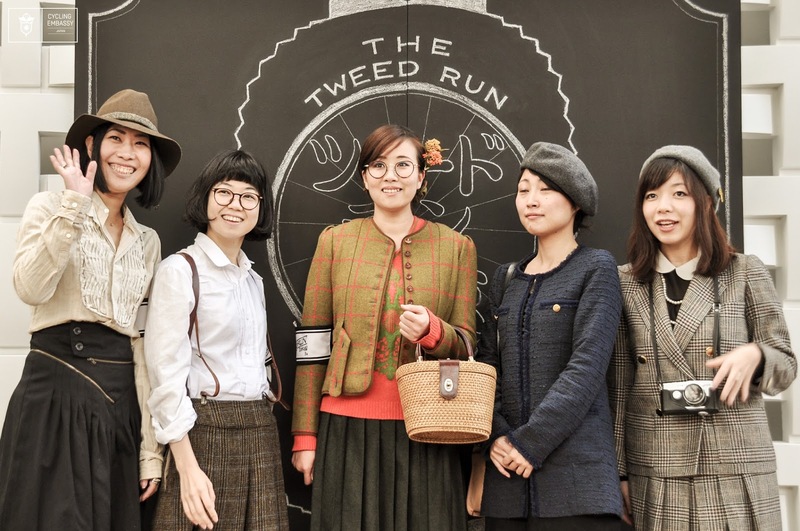 The detail and dedication of the riders to make it an authentic tweed event was astonishing. 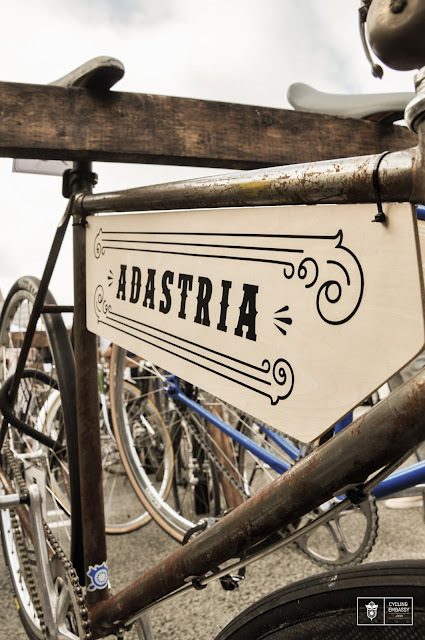 Yet events for cycling don’t have to be exclusive to show off a style or theme. A high entry price and approval process may promise a more groomed batch of riders but it also gives the message that classy looking people are only those who can afford the latest (or in this case “most authentic”) fashion. 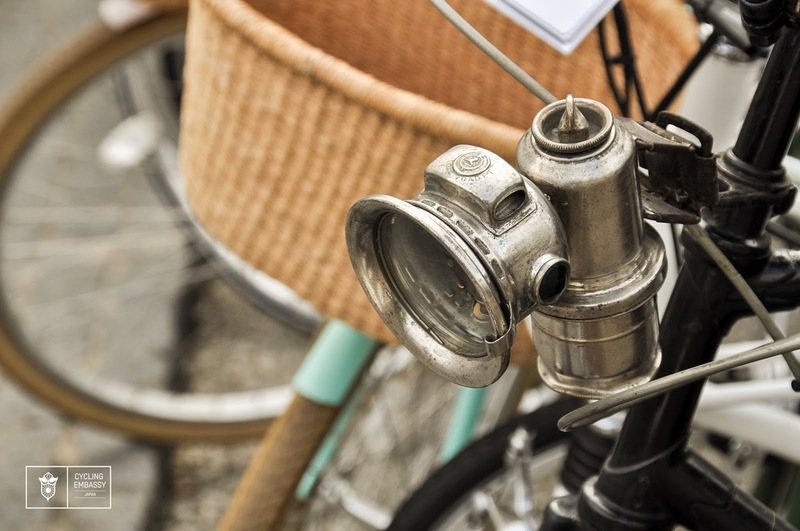 Classiness isn’t owned by the wealthy, especially when it comes to cycling. 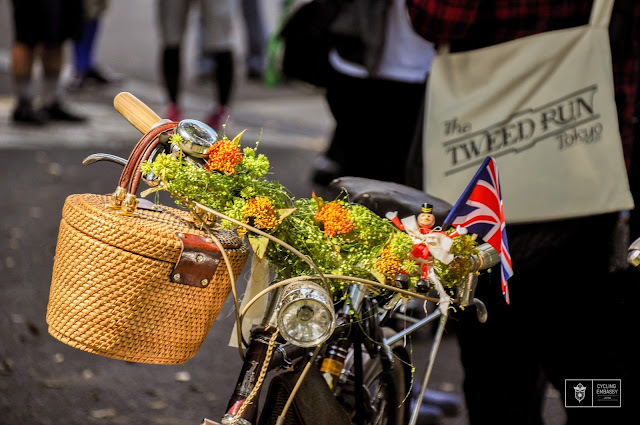 I would hope everyone would take up the banner of cycle chic and show the world that they can cycle in style without breaking the bank. From Steampunk to Manga-clad Lycra there are so many subdivisions of cycling attire in this town it’s hard to envision. Thankfully the Tweed Run showed off a great collection of some of the most fashionable cyclists in Tokyo and helped prove that cycle fashion is not restricted to spandex or skinny jeans, you can wear quarter length tweed pants with high argyle sock as well. 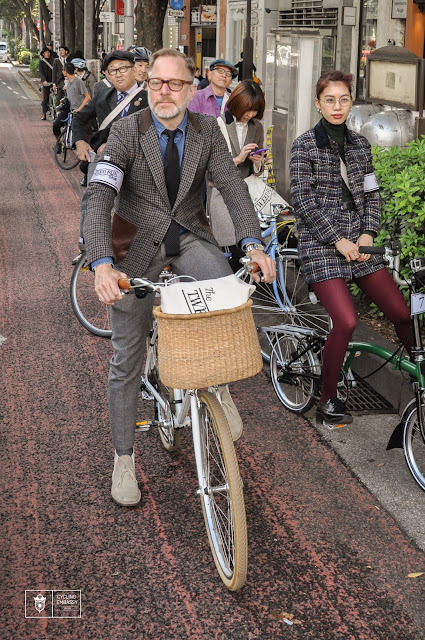 No matter what you decide to wear remember that the fashion industry agrees that riding a bicycle makes everyone look good. 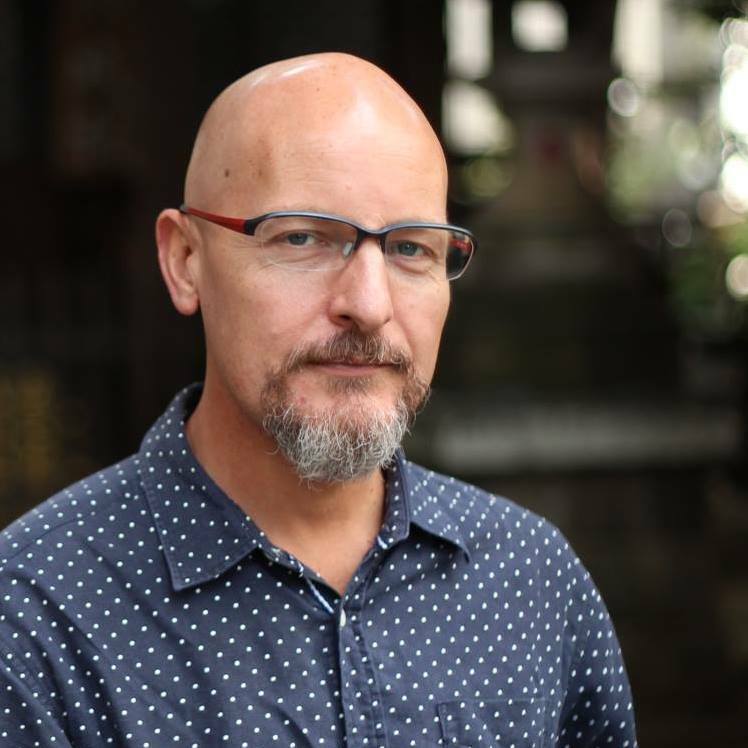 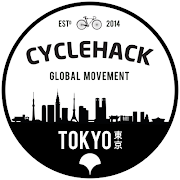 This has been a guest post by Chad Feyen Deputy Head of Mission at the Cycling Embassy of Japan. 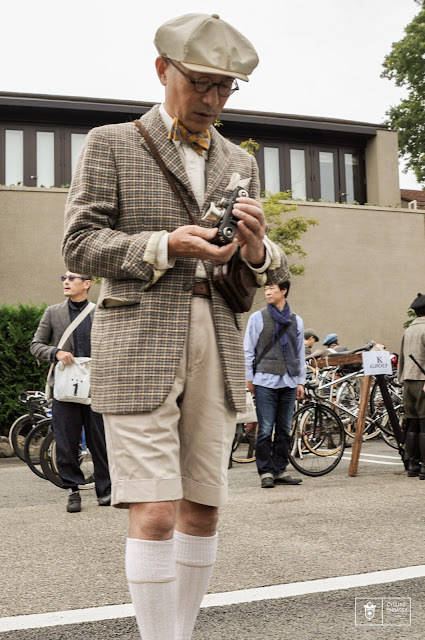 If you see a photo you want removed from this post please contact the author to have it removed.